Po-Ying Chung is her full name, but many know her as Janice. She is a transfer senior majoring in Political Science and minoring in Human Rights. She finished her last three school years on the Dean's List. Janice has a passion for human rights, especially children's rights. She has traveled to different parts of Asia under Habitat with Humanity to restore living conditions for locals. In China, a volunteer group was able to provide supplies for elementary students. In Vietnam and Thailand, they were able to refurbish playgrounds and pavements for children. In 2016, Janice created a volunteer event with Hunger Free America, a non-profit group with a goal to end domestic hunger, to assist qualified people to sign-up for Food Stamps. In 2017, she interned at New York County Family Court under the office of legal affairs. In addition, she assisted attorneys and paralegals with a goal to ensure that custodial parents may have the financial support and medical insurance for their children by locating parents. At John Jay, she is currently part of the SASP program as a transfer peer success coach. Elisa Crespo currently serves as John Jays' College Council-at-large, on behalf of the entire student body of John Jay College. Additionally, Elisa is one of John Jays' student Delegates in the CUNY University Student Senate. She is a Senior standing student and majors in Political Science with a minor in Human Rights. During the 2017-2018 academic school year, Elisa served as the Chief of Staff to the Vice President of Student Council, as well as Chair of the Student Council Subcommittee on Voter Awareness. Her career goal is to practice Law as an attorney. Elisa is very passionate about civic engagement and international relations. Mobilizing CUNY students towards becoming a powerful voting bloc in upcoming elections is also very important to Ms. Crespo. Elisa carries with her progressive values and will always advocate in favor of the less fortunate. Dillon Epperson is a passionate advocate for alternatives to incarceration and seeks to further understand this matter on an international scale. He is a member of the Prisoner Reentry Institute (PRI) and participated in the Prison-to-College Pipeline initiative. As an international studies major, Dillon was active in the United Nations Student Associate (UNSA) for two years; each year ModelUN awarded his Position Papers for his research. He is a womanist/feminist who served as a Gener Justice Advocate under the Women's Center for Gender Justice. He also engaged in research related to LGBTQ justice, incarceration, and international conflicts as a Mcnair Scholar and seeks to obtain his Ph.D. around these human rights violations. He sees education as power and continues to advocate for students of color through his service in the Urban Male Initiative. Currently a senior, Raymond Hilker has been on the Dean's list the past two years at John Jay. 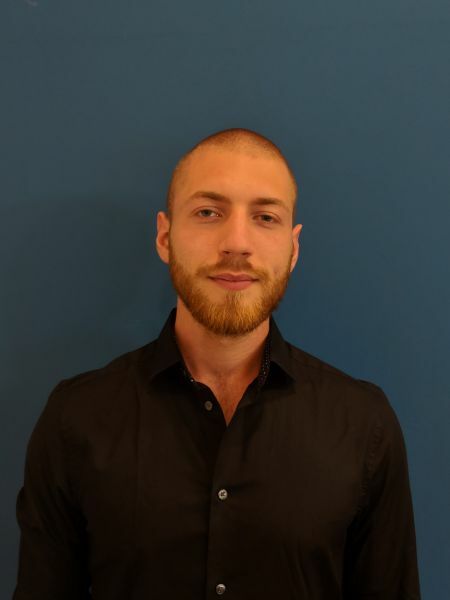 As an International Criminal Justice major, he has a particular interest in areas of research involving nuclear and chemical weapons proliferation, as well as preventative criminal justice policies for children and other vulnerable groups. Raymond also has work published in John Jay's Finest relating to these interests and hopes to continue researching and writing to create positive policy change in the future. 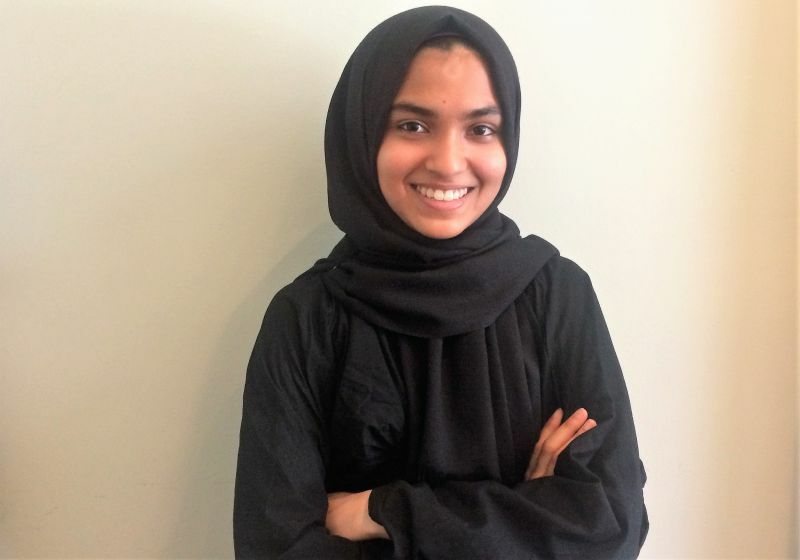 Amina Majeed is a graduating senior majoring in International Criminal Justice. She served as the International Criminal Justice Club President for the 2017-2018 semester. She is currently the Friends of the Earth Organizing Fellow for the state of New York. Amina is a member of the European Society of Criminology. She is an avid student with a wide array of interests ranging from environmental justice to crimes against women and children. Mus abika Nabiha is a Macaulay Honors College student and a sophomore at John Jay College of Criminal Justice. 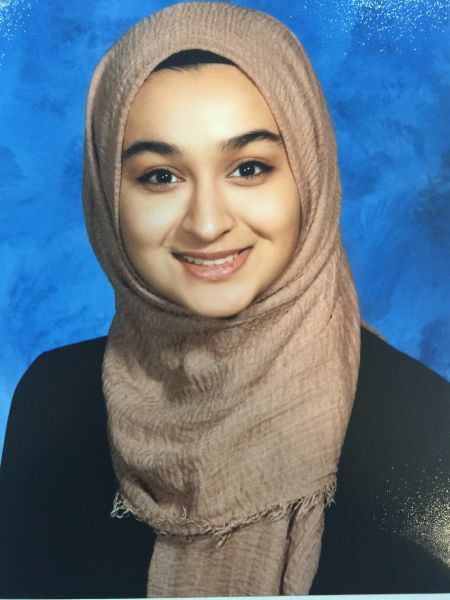 She is the secretary of John Jay's Muslim Students Association. She is passionate about anti-war and anti-imperialism work. For the past year, she has worked in various ways with Peace Action New York State, a grassroots anti-militarism organization. She is also helping to organize a campus war divestment campaign in conjunction with various anti-war groups. 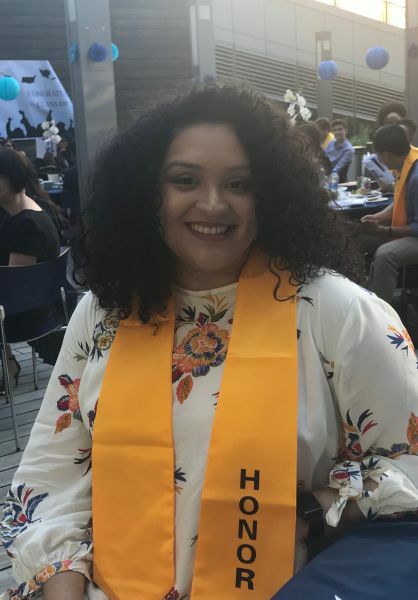 Lorena Villavicencio recently graduated in 2018 and studied Forensic Psychology and International Criminal Justice. Throughout her undergraduate career, she focused her studies on criminal behavior and international crimes. As an honor student, she developed her own research project about understanding gang membership using a new method in the field. As a result of her internship with CUNY Service Corps, her passion for human rights was enforced, specifically for immigrants, women and, refugees. Right now, she works for a state-funded program that empower the immigrant community in Brooklyn by providing resources such as free immigration services, legal services, and English for Speakers of Other Languages (ESOL) classes. She would like to start a career in an international or local nonprofit organization that focuses on human rights. Remy Linback is currently a senior at Sarah Lawrence College, studying political science. Having worked with the Center for International Human Rights last year, Remy previously participated in the Center’s Diplomacy Lab Project in coordination with the US State Department. She is the editor-in-chief and a founding member of the Sarah Lawrence Political Review, a student-run journal covering recent events in global politics. She has also worked with the Sarah Lawrence Humanitarian Watch, an organization aiming to educate students about human rights issues around the world. Perel Danese is a graduating senior at John Jay College of Criminal Justice and is pursuing a major in International Criminal Justice. As an ICJ student, she is passionate about international relations, international human rights, and global development. She finished the last three school years on the Dean's List. She is an active participant in school life including clubs and CUNY Service Corps. Perel joined CIHR in August 2017 and is the webmaster for the organization. Maarja worked with CIHR last year and graduated from the MA program Study of the Americas at City College in the summer of 2017. During the program, she organized the work of Human Rights Club and was awarded the QUEST Award for Leadership Scholarship and Community Service. She has finished her BA in her home country of Estonia and also obtained a Master of Sociology from Pompeu Fabra University in Barcelona, Spain. Her research interests include immigration and human rights. She has also collaborated with the non-profit organization Historical Memory Project that focuses on preserving the memory of human rights crimes in Latin America, founded by Marcia Esparza, a professor at John Jay College. Hanna Amodine is currently a senior majoring in Political Science with a concentration in Comparative International Politics and Human Rights at John Jay. She is currently the Center’s weekly news contributor. Along with being an Honors Program Scholar, she is currently the President of the National Model United United Nations team and previously served as the Treasurer. Hanna is also a recipient of the Charles B. Benenson Scholarship, which honors students with excellent academic standing and interest in real estate. She has had a number of experiences, including interning with the Honorable Judge Carmen R. Velasquez, the Durst Organization and is currently at Rosenberg & Estis, P.C. She is looking forward to pursuing a Juris Doctor Degree with aspirations in advocating for housing justice.